Restaurants, bakeries and grocery stores prepare for months to ensure that they’re ready for the Lunar New Year. 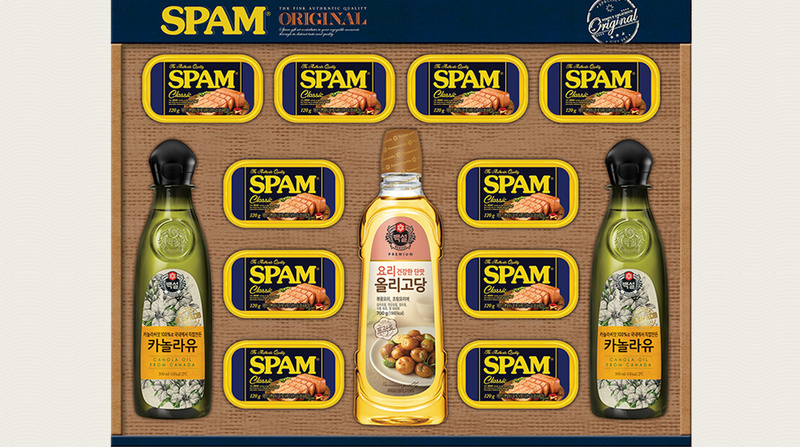 In South Korea, Spam is available in high-end gift sets during the Lunar New Year as well as Chuseok, the autumn harvest festival. The sets have been a major portion of business in the country for at least the past 12 to 15 years, Jaynee Dykes, a senior brand manager at Hormel Foods, said. Gift set sales between the two holidays account for 55 percent of total annual Spam sales in the country, with the Lunar New Year accounting for about 20 percent, Dykes noted. “Retailers are encouraged and almost required to pre-book their gift sets because that’s what a large portion of total business that is,” she said. Spam was previously available as part of gift sets in the U.S., and grocery stores in Hawaii have offered their own packages, Brian Lillis, a senior brand manager at Hormel Foods, said. As Asian populations grow in the U.S. as well as Australia and Canada, the company has also offered promotions in those regions.